The updated load assist, on-board weighing, from Volvo Construction Equipment provides payload accuracy within ± 1 percent on every bucket, while the machine is moving. Volvo Construction Equipment has updated the load assist application for its L110H to L260H wheel loaders and, together with a new version of the Android platform, operators will now get real-time information on every bucket's load within ± 1 percent accuracy. An operator accesses the real-time information by utilizing the on-board Volvo co-pilot display. This 10-inch, high resolution touchscreen works in conjunction with the on-board weighing app, which captures all load data via pressure and position sensors. While in operation, the operator can monitor the loading progress in real-time. The dynamic system measures the bucket load on-the-go to eliminate any disruption in workflow. Colored bars help the operator visualize the tonnage currently in the loader's bucket, tonnage already delivered, and tonnage that still needs to be delivered, while icons offer insight into why the weight is not locked properly. New Android tethering function, allowing remote software downloads. 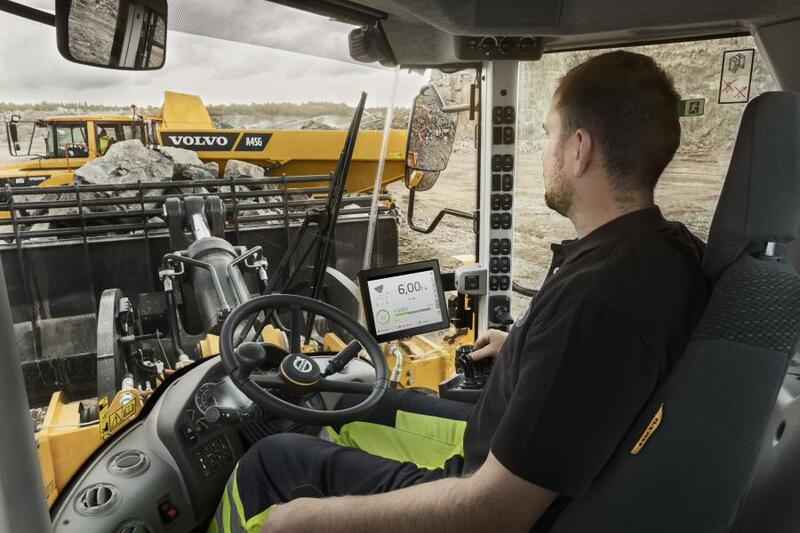 Using Volvo co-pilot, the system will feed information to the CareTrack telematics system, giving remote access to the machine's data and performance to the manager who can then determine areas of opportunity to improve productivity and lower costs.